Omaha area REO (Real Estate Owned) market stats for December 2018. The foreclosure market is very light and buyer competition for new listings is high. There was 16 sold (closed) REO homes sold in the Omaha area MLS for the month of December 2018. Comparing last month sale rate 16 sold to the current 21 active REO listings, the REO market has 1.31x months’ inventory. This rate indicates a strong market. Omaha MLS market stats for new construction homes in Douglas and Sarpy Counties update for December 2018. New Construction Homes for Sale in Douglas and Sarpy Counties. There was 110 sold (closed) new homes on the Omaha MLS for the month of December 2018, down 13% from November 2018. Currently there are 692 active listings, which is flat from November 2018. 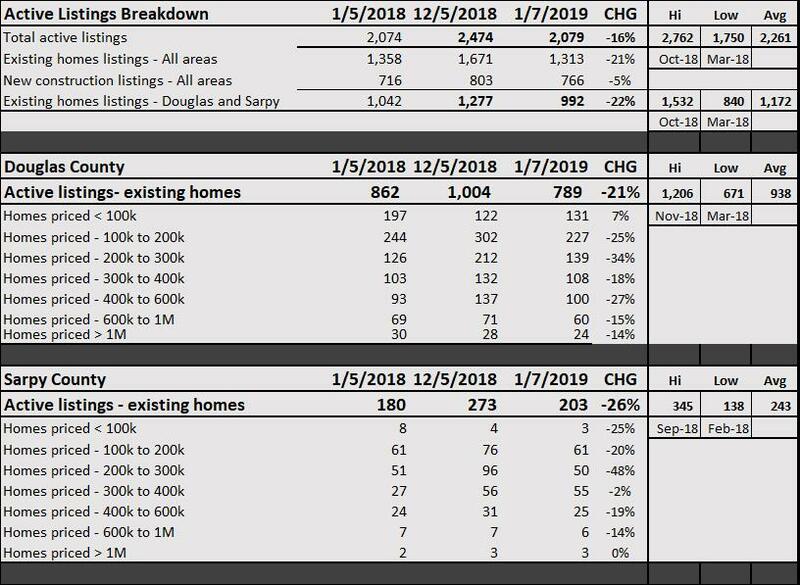 Comparing last month’s sales to the current active listings, the new construction homes has 6.29x months’ inventory on the market, which is a balanced to buyers market. Steve Lauver | Nebraska Realty gives Omaha, NE home sellers powerful representation and the lowest average days on market. Steve Lauver looks out for Omaha home buyer’s best interest throughout the home buying process, from finding homes that fit your needs, negotiating the best terms, and ensure closing your new home is on time. Learn how I will assist you in selling an Omaha, NE Home or buying an Omaha, NE home. Douglas County Homes for Sale – All homes. There was 608 sold (closed) homes in Omaha, NE Douglas county for the month of December 2018, which is down 11% from November 2018. Comparing last month sale rate 608 to the current 1,230 active listings, the area has 2.02x months’ inventory on the market, down slightly from November 2018. This rate indicates a seller’s market in Omaha, NE- Douglas county. Douglas County Homes for Sale – Existing homes. There was 553 sold (closed) existing homes in Douglas county for the month of December 2018, which is down 9% from November 2018. Comparing last month sale rate 553 to the current 789 active listings, the area has 1.43x months’ inventory on the market. This rate indicates a seller’s market for existing homes in Omaha, NE- Douglas county. Steve Lauver | Nebraska Realty gives Papillion, NE home sellers powerful representation and the lowest average days on market. 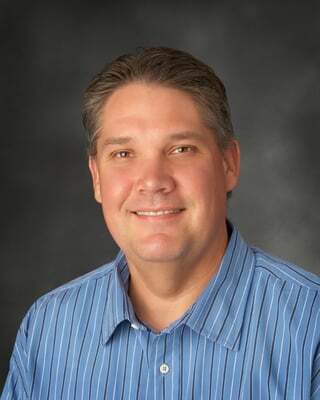 Steve Lauver looks out for Papillion, NE home buyer’s best interest throughout the home buying process, from finding homes that will fit your needs, negotiating the best terms, and ensure closing your new home is on time. Learn how I will assist you in selling a Papillion Home or buying a Papillion home. All of Sarpy county, including Papillion, La Vista, Bellevue, Gretna real estate market update for December 2018. Sarpy County Homes for Sale – All homes. There was 224 sold (closed) homes in Sarpy county for the month of December 2018, down 8% from November 2018. Comparing last month sale rate 224 to the current 454 active listings, Sarpy County has 2.03x months’ inventory on the market. This rate indicates a seller’s market in Sarpy county. Sarpy county for the month of December 2018, which is down 13% from November 2018. Comparing last month sale rate 169 to the current 203 active listings, the area has 1.20x months’ inventory on the market. This rate indicates a seller’s market for existing homes in Sarpy county. Sarpy County Steve Lauver| Nebraska Realty gives Omaha, NE home sellers powerful representation and the lowest average days on market. Steve Lauver looks out for Sarpy county home buyer’s best interest throughout the home buying process, from finding homes that fit your needs, negotiating the best terms, and ensure closing your new home is on time. Learn how I will assist you in selling an Omaha, NE Home or buying an Omaha, NE home. Omaha MLS market stats for Douglas and Sarpy Counties in Omaha, NE real estate market update for December 2018. All Homes for Sale in Douglas and Sarpy Counties. There was 832 sold (closed) homes on the Omaha MLS for the month of December 2018, down 11% from November 2018. Currently there are 1,684 active listings, which is down 16% from November 2018. Comparing last month’s sales to the current active listings, the Omaha MLS has 2.02x months’ inventory on the market, down slightly from November 2018. Existing Homes for Sale in Douglas and Sarpy Counties. There was 722 sold (closed) homes on the Omaha MLS for the month of December 2018, down 10% from November 2018. Currently there are 992 active listings, which is down 22% from November 2018. Comparing last month’s sales to the current active listings, the Omaha MLS has 1.39x months’ inventory on the market. Omaha, NE and surrounding areas real estate market update for December 2018. There was 963 sold (closed) homes on the Omaha MLS for the month of December 2018, down 11% from November 2018. Currently there are 2,079 active listings, which is down 16% from November 2018. Comparing last month’s sales to the current active listings, the Omaha MLS has 2.16x months’ inventory on the market, down slightly from November 2018. This rate indicates a seller’s market for the Omaha MLS areas. Active residential listings breakdown January 7, 2019 for homes listed for sale in the Omaha Area MLS (multiple listing services). If you are thinking of buying or selling a home in the Omaha metro area, please consider my services. I will be happy to stop by and provide you a FREE market analysis of your home. You can search for Omaha Homes for Sale – Omaha NE Real Estate. Plus you can register for a free account, where you can save your favorite homes and automatically receive email notifications when new listings hit the market that matches your search criteria. Omaha area REO (Real Estate Owned) market stats for November 2018. The foreclosure market is very light and buyer competition for new listings is high. There was 11 sold (closed) REO homes sold in the Omaha area MLS for the month of November 2018. Comparing last month sale rate 11 sold to the current 18 active REO listings, the REO market has 1.64x months’ inventory. This rate indicates a strong market. Omaha MLS market stats for new construction homes in Douglas and Sarpy Counties update for November 2018. New Construction Homes for Sale in Douglas and Sarpy Counties. There was 127 sold (closed) new homes on the Omaha MLS for the month of November 2018, up 2% from October 2018. Currently there are 736 active listings, which is flat from October 2018. Comparing last month’s sales to the current active listings, the new construction homes has 5.80x months’ inventory on the market, which is a balanced to buyers market.